Food Matches currently Rainy Season closely related to efforts to keep the immune system so it does not get sick. Because the rainy season, the air is humid and cold and wet tend to be highly favored bacteria and viruses that cause disease. Food this one contains a special fiber that act as antioxidants and antimicrobials that can protect cell damage due to the instability of the molecules or microorganisms. These fibers are often known as beta-glucan. You can put it in the breakfast menu. These foods contain healthy bacteria that are good for digestive health and keep the digestive tract of bacteria and germs that cause disease. Can be included at breakfast, lunch or dinner. Or maybe when you want a snack. You're feeling cold, flu, runny or stuffy nose? Consumption of hot chicken soup is the right choice. Eating chicken soup help tackle congestion and mucus like cough drug efficacy. Moreover soup containing garlic. Garlic contains allicin which is able to fight bacteria and infection. Both black and green tea are both very well taken during the rainy season. They both contain L-theanine or amino acids that can dissolve in water so as to help build protein and your immune system. Should be consumed without added sugar or milk. Various berries can be consumed for example blackberry, blueberry, raspberry and strawberry. All types of berries that contain vitamin C and anthocyanins which help boost the immune system and help fight disease. There are many types of food suitable When the rainy season which can be consumed as fish, beef, sweet potatoes, mushrooms and other fruits. You should limit instant food and fast during the rainy season. Or just avoid eating certain foods. 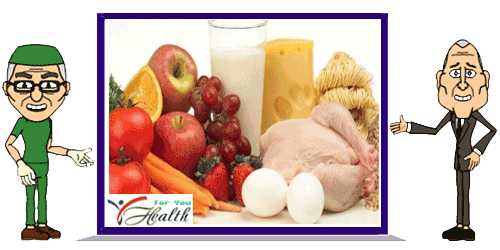 The more variety of healthy foods and beverages consumed, the more easily the body are met nutrition. So that the immune system is maintained and more resistant than the invasion of the disease-causing even during the rainy season though.